Want to know what it's like cooking from 26 Grains? We're here to help! We've assembled a team of happy (and hungry) foodies to test out recipes from 26 Grains in their own kitchens. Find out their thoughts on the book below. 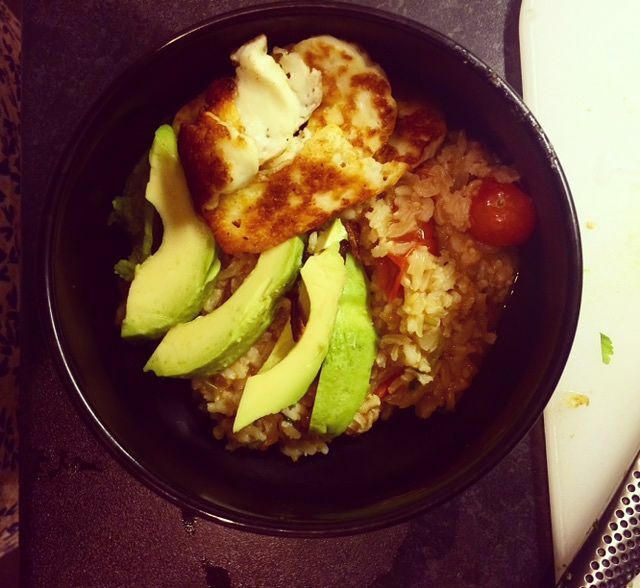 What I thought: This tomato coconut rice with halloumi and avocado recipe sees the happy meeting of two of my current obsessions: rice bowls and suppers filling enough to allow me to watch the Great British Bake Off without also eating an entire cake. It more than delivered on both these things, and I'll be cooking it more and more as autumn sets in. 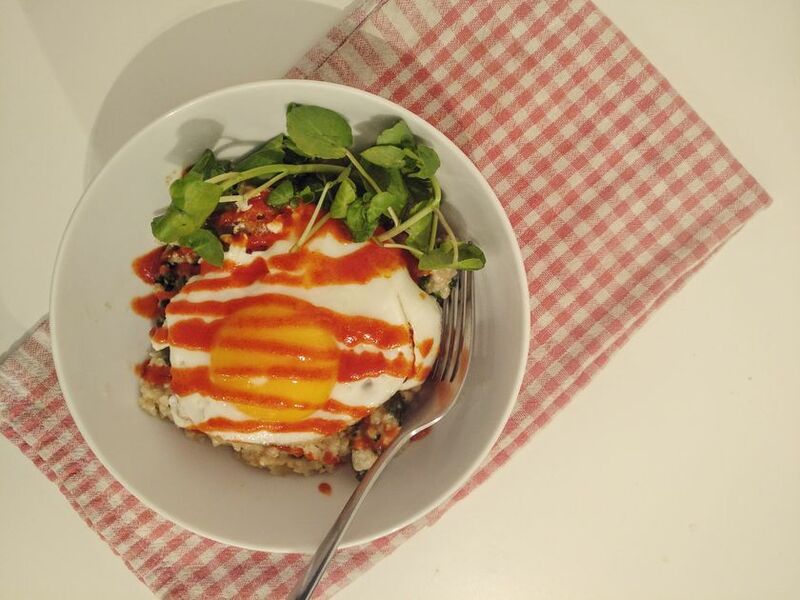 The recipe is very simple for something with such depth of flavour: as long as you remember soak your brown rice before you go to work that morning, you can have supper on the table in an hour and with very little effort, as it is mostly two pans bubbling away. 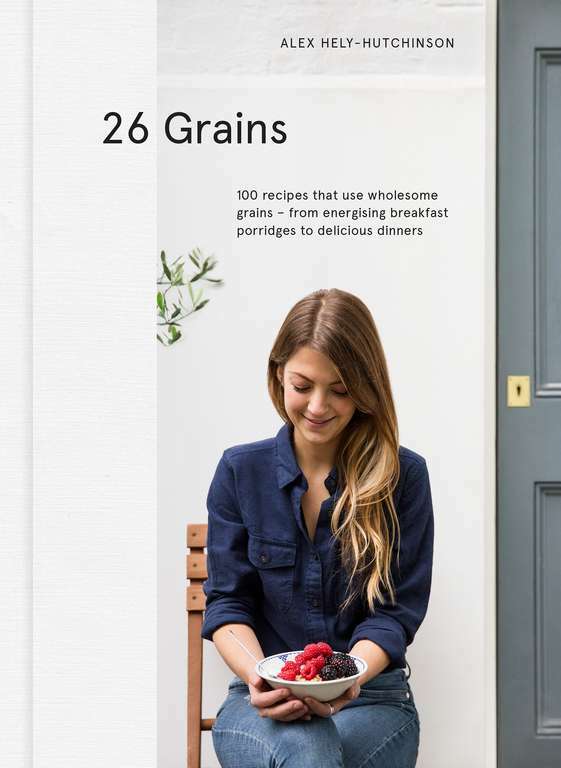 I've always been a soaking sceptic, but this book has really converted me to the value of taking the time to soak grains: it makes an enormous difference to my morning porridge but also to this dish too. Once you've smugly soaked, the rest of the dish couldn't be easier. On goes the rice whilst you get on with the delicious coconut and tomato sauce: onions, softened, then chopped fresh tomatoes and spices, all simmered for 20 minutes, adding coconut at the end. The garnish of salty-sharp halloumi, soft avocado and crunchy roasted almonds is assembled right at the end, and again, is simple as: fry halloumi, slice avocado, chop almonds. And voila! A perfect, restorative supper from very simple ingredients. What I thought: It's a short, quite austere list of ingredients, and I like that. It fits with the austere northern uplands tradition, as a durable alternative to bread. And, although I don't mind at all if an oatcake has 3 different forms of this robust grain - pinhead oatmeal, rolled (porridge) oats and medium oatmeal - the single oat form in Alex Hely-Hutchinson's 26 Grains recipe feels more faithful, at least in a textural way, to those northern roots. The finished article is very good. You can't really go higher than that in praise for an oatcake. That's the point with this mild-flavoured, firm biscuit. 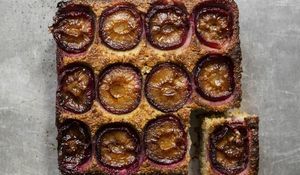 More than anything, it's a carrier for enjoying whatever you want to have with it and, with this recipe, it scored well with ripely runny raw milk camembert, very well with butter and marmite and amazingly well with blackberry jam. 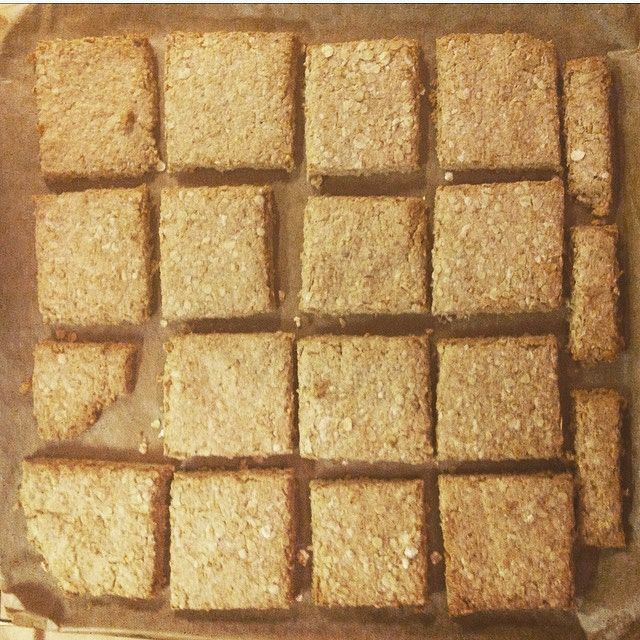 We know why the slightly salty nuttiness of an oatcake works so well with sweetness, and Alex's short and easy recipe delivers an insistently long, savoury kiss of flavour that will makes most sweet foods, in particular, taste better. Bigger. And they're nice to bite, if you follow the recipe to the letter. I'm tempted to thicken the biscuit from 5mm to 8mm and reduce the cooking time by a few minutes to see whether it's possible to get them to bend like a flapjack, without losing too much of the important toasted taste. Imagine that with Nutella! What I thought: Without hesitation I can say that Autumn is my favourite season and this porridge from 26 Grains, in my opinion, is a celebration of that crisp, leafy season. 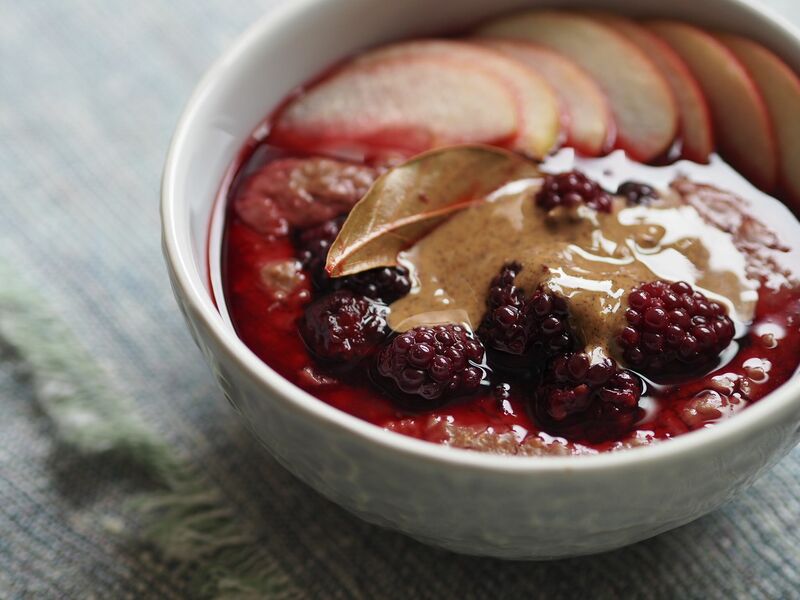 The combination of plump blackberries, sweetened by the last of the summer sun with subtly fragrant bay and sweet maple syrup make for the perfect porridge topper. The fruits add texture and the rich, syrupy liquid lends depth to the dish. And the oats themselves? A revelation once soaked. I've never soaked oats before eating before but these were creamy and quite delicious. Stirring this porridge up on a slow, Saturday morning was almost therapeutic and the only way I want to spend every morning of my Autumn (Winter, Summer and Spring…). I can't recommend it enough. What I thought: I’m trying to eat more vegetarian food in the evenings, and love aubergines but can never be bothered remember to pre-salt them as so many recipes seem to recommend. So I was drawn to this straightforward idea for a Middle Eastern spin on caponata, which calls for the salt to go in at the same time as the aubergines. The beauty of this recipe is that there are only three main ingredients to the stew itself – aubergines, onion and pepper – so time-consuming preparation is at a minimum, with the spices, seasonings and can of chopped tomatoes easy to throw in at the right stage. Because it’s a dish that’s mostly cooked over a low heat, it doesn’t require constant attention either, so once I had all my ingredients prepped I was freed from hovering over the pan. 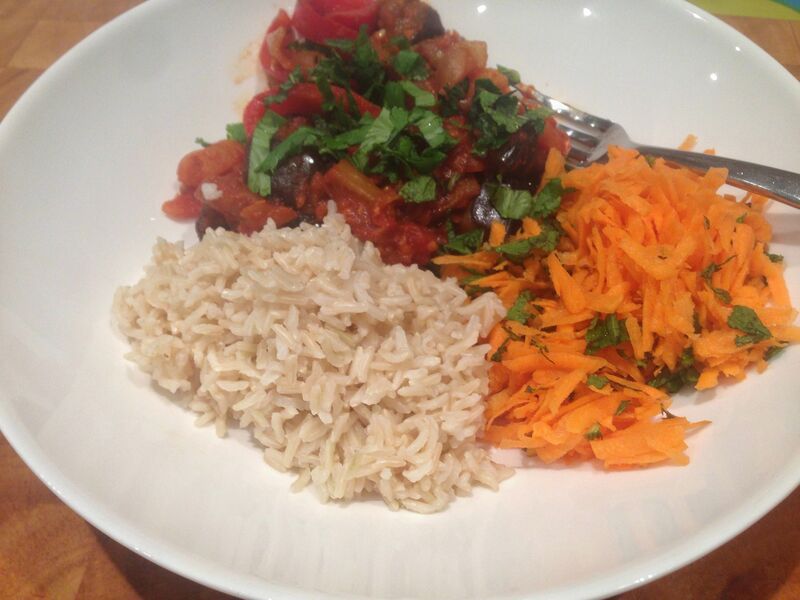 The crisp carrot and mint salad recommended as an accompaniment is a great contrast to the silky texture and smoky taste of the aubergines, and was again simple to throw together whilst the rice was cooking. The total cooking time was a little longer than I’d usually spend on a weeknight, but even though I found myself making this on one of the hottest nights of the year, wondering about the wisdom of choosing a stew in the middle of an Indian summer, the subtle flavours and textures work together to make this a meal that’s sustaining after a long day at work, but not heavy. I can see myself turning to it again and again as the nights draw in. What I thought: Savoury porridge. 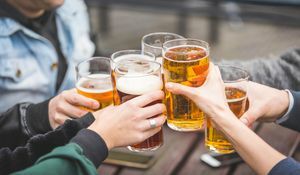 It’s not the kind of thing you come across often here in the UK, and I imagine it’s the kind of dish that some people would approach with caution – especially when you add kale and eggs into the mix. However, my first taste of congee on a recent trip to Indonesia had me convinced that a salty porridge is just as delicious (if not more so) than a sweet one, and the perfect choice for any time of time of day, not just for breakfast. The fantastic thing about a porridge recipe is that it could not be quicker or simpler – it’s almost impossible to mess up! After a long day at work, I didn’t want to spend hours over some complicated meal. I wanted something speedy, tasty and hearty, and this recipe ticked all the boxes. It takes about 10 minutes from start to finish, and leaves you feeling full for hours thanks to the wholesome oats. I love dousing my food with sriracha, and really enjoyed the heat of the sauce with the deep, earthy vegetable flavours of the kale and stock. Cooking this dish made me appreciate just how beautifully versatile grains are. 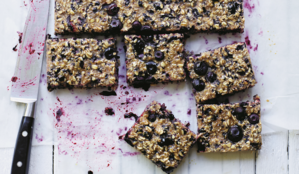 Why on earth have I only using oats for breakfast up until now? This is lovely bowl of warmth to hug to your chest when the nights start to draw in. It’s definitely a keeper, a dish I know I will make again and again. What I thought: I love beetroot in the late summer and early autumn but I've never really worked out how to make the best of a bunch at home - until now. I think this lunch is going to be one that I get weekly cravings for that I have to satisfy. There are a few steps to complete but it's fun to cook and it looks amazing and tastes delicious! 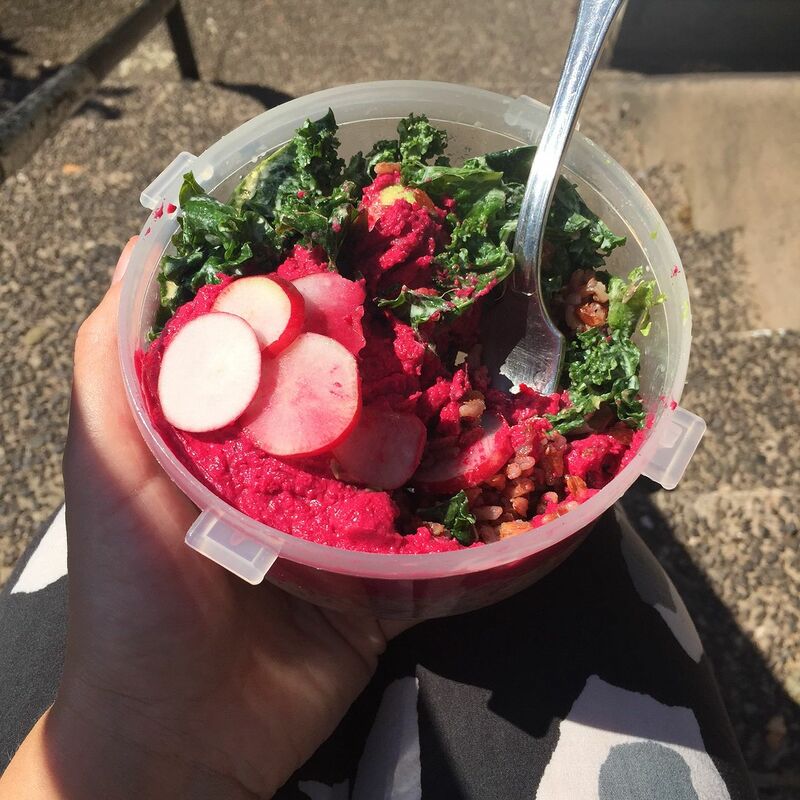 And it's one recipe that you can split up and use as part of lots of other meals too - beetroot hummus, zesty kale that's quick to prepare and keeps such a lovely texture, delicious rice. And anything that gets topped with avocado is a winner for me! What I thought: This is clever. A ying and yang of ingredients. A maverick take on North vs South. Summer and Winter. Pearl barley is one of those dry, back-of-the-cupboard ingredients that speaks of cold weather comfort: hearty soups and one-pot warmth. Olive oil, tomatoes and aubergine on the other hand are the ingredients of high southern summer. The deeply flavoured foods of the south coaxing a thrill out of the deep northern virtue of food-as-fuel grains. Alex Hely-Hutchinson's 26 Grains does this often, surprising you with unfamiliar ideas that work really well. So what makes this clever recipe work so well? Simple: it gives more than it takes. It's an easy assembly of two sub-recipes - each comprising three main ingredients - separately cooked (oven and hob) at a leisurely pace, and then folded into each other. The result is unexpected. It's flavours are rich, bold and tell it straight, proving that these unexpected bedfellows bring the best out in each other. The soft, in parts chewy, texture feels good and the colour palette makes for a pretty plate. I've cooked this a few times now and this is the verdict: the curtain calls aren't for the star ingredient, as you would expect. No. 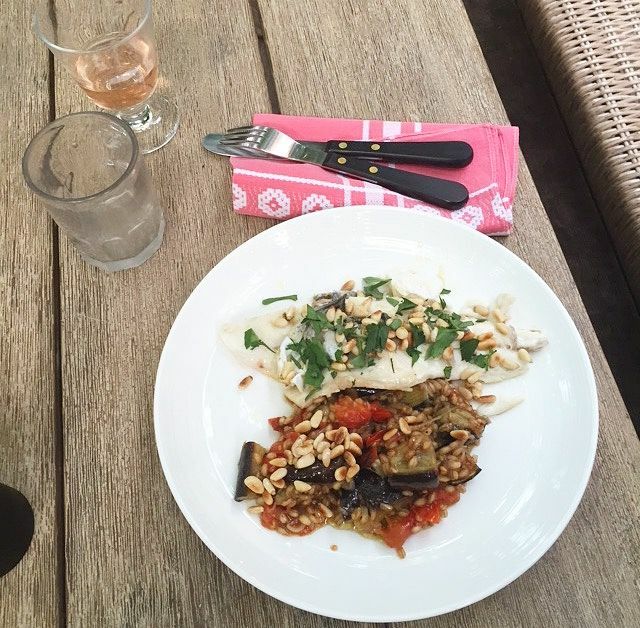 I thought the easy pleasure of super fresh, well-cooked fish would take centre stage, but there's no question that Alex Hely-Hutchinson's alchemy has created a gold medal winner with the vegan aubergine, tomato and pearl barley combo all on its own. My tip: be generous with the pine nuts and, if you can, use the longer, creamier, Mediterranean ones. Want to make this recipe yourself? Get the recipe here. Get 26 Grains here! 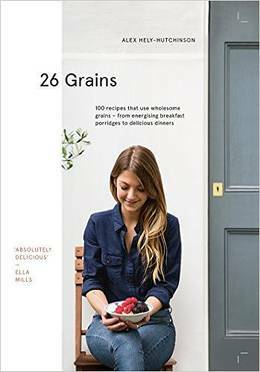 Or why not read about 26 Grains' favourite autumn flavour pairings with recipe recommendations from her book.